Based in Ferndown and covering surrounding areas we are your One-Stop-Shop for all your plumbing & heating requirements. 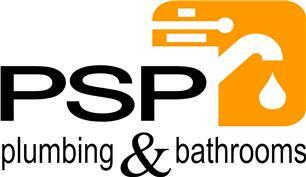 PSP are a father and son business catering for everything from boiler installations to full bathroom refurbishments. We take great pride in the quality of our service which we offer at sensible, affordable prices. I am a City and Guilds Qualified, Gas Safe registered engineer and install complete central heating systems, replacement (combi and regular) boilers, cookers, fires and associated controls etc. We also carry out routine boiler servicing and system maintenance. I hold further qualifications in Energy Efficiency in Domestic Heating Systems and for the Installation and Maintenance of Unvented Hot Water Cylinders which are rapidity becoming a more and more popular choice due to the high performance and efficiency of these systems. I am a trained installer for Glow Worm and Veissmann products, both of which I recommend, but I’m also able to install boilers from the manufacturer of your choice if you have a preference. If you’re looking to replace your existing bathroom we provide a complete bathroom refurbishment service from the planning stage to completion. Following an initial survey, you will be provided with a firm quotation and detailed CAD scale drawing of the proposed bathroom design listing the technical requirements of the sanitary ware and tiling quantities required. I work closely with a local bathroom showroom that is able to provide you with an excellent choice of bathroom products at competitive prices. Alternatively you may purchase your materials elsewhere if you prefer.